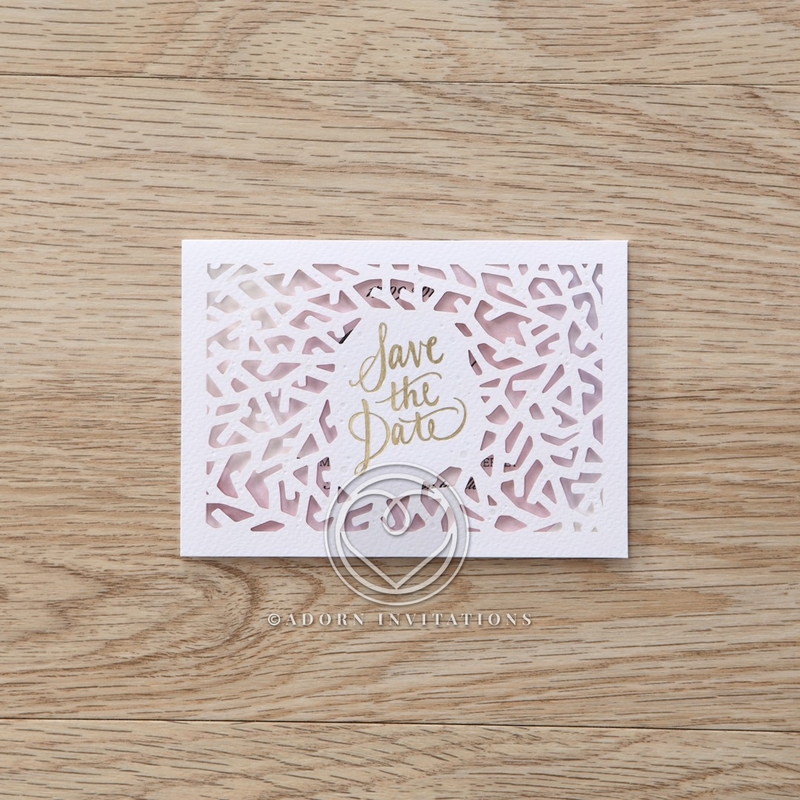 This pocket Save the Date card is designed with the modern bride and young at heart in mind. Well suited for intimate weddings and those with an outdoor theme, this stylish announcement will set the tone for your special day. The laser cut cover is crafted on a textured card stock and embellished with a gold foil stamped Save the Date text. The vibrant colored inner card peeks through the laser cut pattern of branches to create an amazing backdrop for the opulent foiled front. While the pink hue with water color effects exudes a dramatic vibe when opened, you can also customize the color to suit your theme and personality.